Group E of the FIFA World Cup begins with what could be a close game as Costa Rica face Serbia. They will battle at the Samara Arena, Samara. This game could be crucial for both squads as Brazil are the favorites for the first place in the group. The battle for the second place will be between Serbia, Costa Rica, and Switzerland. This is Costa Rica’s fifth appearance in the world cup. In 1990, they finished 13th and in their most recent campaign in 2014 they impressed with the team reaching the quarter-finals of the tournament. 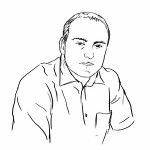 One of the key players for this team is their goalkeeper Kaylor Navas of Real Madrid, on whom the heavily depend as their last line of defense. In the previous weeks, Costa Rica has played three friendly games. They won the first one against Northern Ireland and lost the remaining two. England defeated them by the score of 2-0, and in the most recent one they suffered a 4-1 defeat to Belgium. In that clash, they showed their composure early in the game and managed to score first. After that goal, Belgium switched things up and dominated the rest of the match. Ruiz scored for Costa Rica and on the other side it were Mertens with two, Lukaku and Batshuayi with a goal of their own. Serbia had a great qualification group and managed to qualify relatively easy under the guidance of Slavoljub Muslin. Serbian Football Association has always been one of those to say: Â“Why make it simple when it can be complicated?Â”, this tournament was no different. Even though the coach Muslin got the team to qualify to Russia, SFA decided to fire him and give the job to his assistant who has little experience in first team coaching. The quarrel on the coachÂ–SFA relation was because of the players not invited to the world cup, Sergej Milinkovic-Savic of Lazio being the biggest problem. In the end, coach Muslin got fired and Milinkovic-Savic got his place in the squad. He is an amazing young player, but was he worth it, only time will tell. Amongst other players in Serbian squad, Nemanja Matic of Manchester United and Aleksandar Mitrovic are the two worth mentioning. Matic has played great in the past season and Mitrovic helped his club, Fulham F.C, get a promotion to the Premier League. Serbia has had three friendly matches as part of the preparation for the World Cup. They lost to Chile by the score of 1-0, and managed to win against Nigeria and Bolivia. They demonstrated their potential against Bolivia with the final score of 5-1. Mitrovic scored a hat-trick, the first one for Serbia as an independent country. These two teams have never faced one another. This will be a close call and could go either way. SerbiaÂ’s biggest strength could also be their biggest weakness in this match. They are one of the tallest teams in the World Cup and are up against a side known for their potential and fast-counter attacks. Costa Rica don't have injured players before their opening game in Group E. All players are highly motivated for the match and they will play aggressive from the first minute. On the other side Serbia also have almost all players fully fit for the match. Uros Spajic and Andrija Zivkovic are not fully fit and they are doubtful for the match. All other players are ready to play and they are eager to pick up all three points against Costa Rica. What a great football game to start our betting on World Cup on Sunday. Match Costa Rica vs Serbia will be tough one and we expect a true football battle. Costa Rica are not in fine fettle, but this is big tournament and all players are highly motivated. For sure they will play strong and aggressive football, but they will try to score after fast counterattacks. Costa Rica know that Serbia have very bad goalkeeper and will try to score from a distance. On the other side Serbia have very talented players and they are closer to win. They will create many attacks thru wingers and will have many corners. 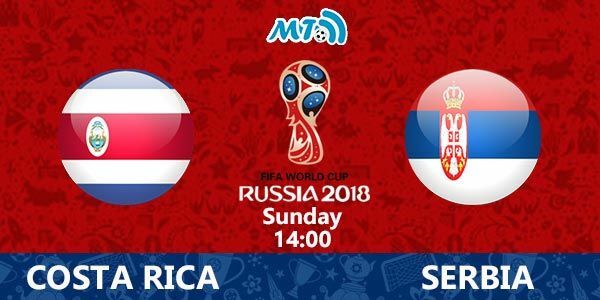 However our prediction and betting tips for the match Costa Rica vs Serbia Prediction: Serbia to win. We expect from Serbia to score at least two goals on this match, and expect from Aleksandar Mitrovic to score. Maybe correct score will be 1-2, so you can try to win more money with bet on Both teams to score. A Â£100 Bet on Serbia to win returns Â£195. Click here!